Once per turn, during your Main Phase, if you have 3 or less cards in your hand: You can Draw 1 card. 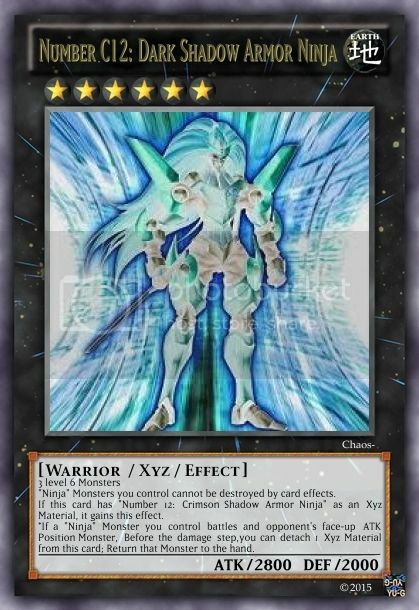 If this card has "Number 10: Illumiknight" as an Xyz Material, it gains this effect. *Once per turn: You can detach 1 Xyz Material from this card; Send 1 Random card from your opponent's hand to the graveyard, and if that card was a Monster; All Monsters your opponent controls loses ATK equal to that Monster's ATK. Once per turn, you can change this face-up ATK Position card to Face-up DEF Position; target 1 monster your opponent controls; take control of that monster until the End Phase of this turn. If this card has "Number 11: Big Eye" as an Xyz Material, it gains this effect. 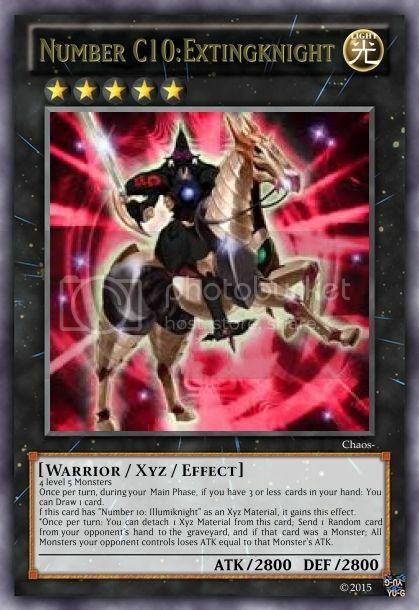 *Once per turn, if you control a Monster that is owned by your opponent; you can detach 1 Xyz Material from this card; send it to the graveyard; Halve your opponent's LP. "Ninja" Monsters you control cannot be destroyed by card effects. If this card has "Number 12: Crimson Shadow Armor Ninja" as an Xyz Material, it gains this effect. *If a "Ninja" Monster you control battles and opponent's face-up ATK Position Monster, Before the damage step,you can detach 1 Xyz Material from this card; Return that Monster to the hand. This card cannot be destroyed by, spells, traps, or monster effects. If this card has "Number 16: Shock Master" as an Xyz Material, it gains this effect. *Once per turn: You can detach 1 Xyz Material from; Destroy either all Monsters or all Spells/traps on the field. This card gains 1000 ATK for each Xyz Material attached to this card. This card can only attack your opponent directly if you detach 1 Xyz Material from it first. 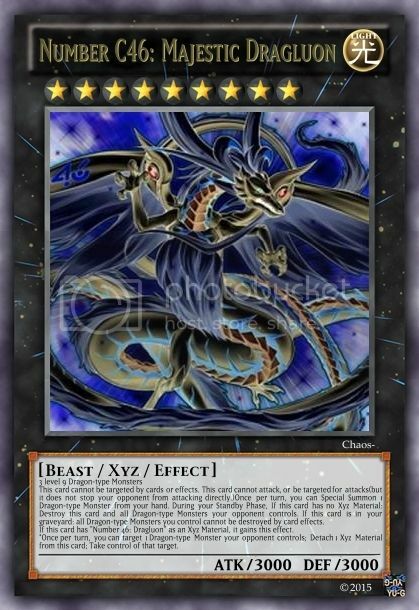 If this card has "Number 17: Leviathan Dragon" as an Xyz Material, it gains this effect. *Once per turn, you can target up to 3 Monsters in your graveyard; Attach them to this card as Xyz Material. this effect can only be used if this card has 1 or less Xyz Material. during either player's turn, if an Xyz Monster would detach an Xyz Material to activate their effect(s), it can do so without detaching an Xyz Material, and if it does; the player opposite to the controller of that monster gains LP equal to that Monster's ATK. 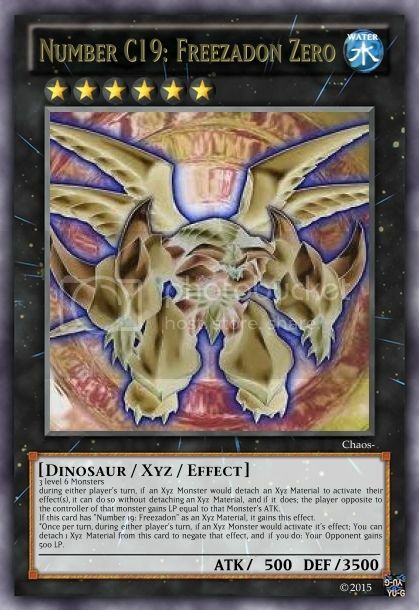 If this card has "Number 19: Freezadon" as an Xyz Material, it gains this effect. 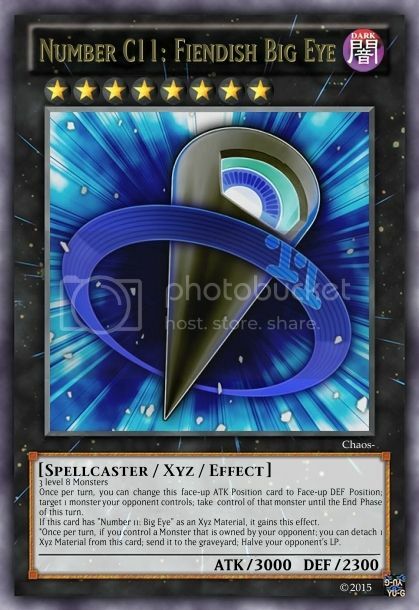 *Once per turn, during either player's turn, if an Xyz Monster would activate it's effect; You can detach 1 Xyz Material from this card to negate that effect, and if you do: Your Opponent gains 500 LP. if this card deals Battle damage Successfully: All Monsters you control gain 500 ATK. If this card has "Number 20: Giga-Brilliant" as an Xyz Material, it gains this effect. *Once per turn, you can detach 1 Xyz Material from this card; This card can attack your opponent directly. Once per turn, during either player's turn, You can target 1 Effect Monster your opponent controls; negate the effects of that opponent's face-up monster, until the end of the turn. If this card has "Number 25: Force Focus" as an Xyz Material, it gains this effect. 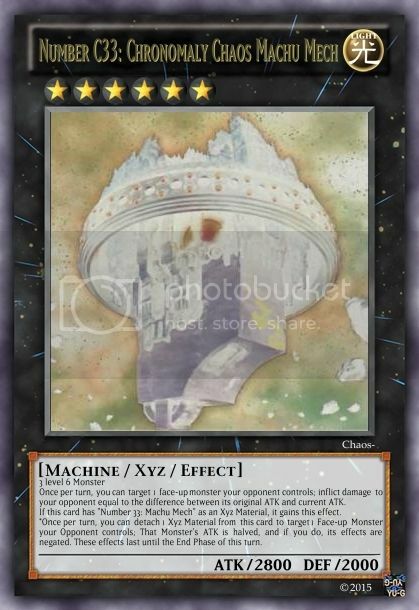 *Once per turn, you can detach 1 Xyz Material from this card; Banish 1 Face-up card on the field. During your Standby Phase: take 2000 damage and detach 1 Xyz Material from this card. If you Special Summon a Monster while this card is face-up on the field: Take 1000 Points of damage. While this card has no Xyz Materials, it cannot attack. 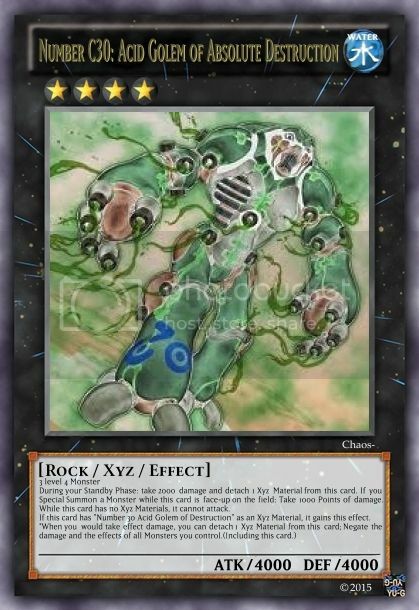 If this card has "Number 30 Acid Golem of Destruction" as an Xyz Material, it gains this effect. Once per turn, you can target 1 face-up monster your opponent controls; inflict damage to your opponent equal to the difference between its original ATK and current ATK. 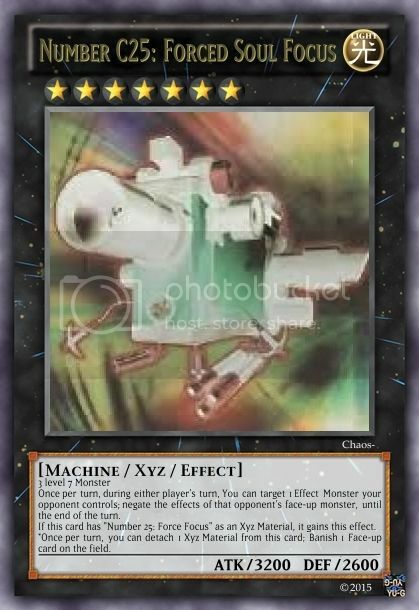 If this card has "Number 33: Machu Mech" as an Xyz Material, it gains this effect. *Once per turn, you can detach 1 Xyz Material from this card to target 1 Face-up Monster your Opponent controls; That Monster's ATK is halved, and if you do, its effects are negated. These effects last until the End Phase of this turn. Once per turn: You can target 1 Level 4 or lower face-up monster your opponent controls; gain control of it. If this card has "Number 34: Terror-Byte" as an Xyz Material, it gains this effect. 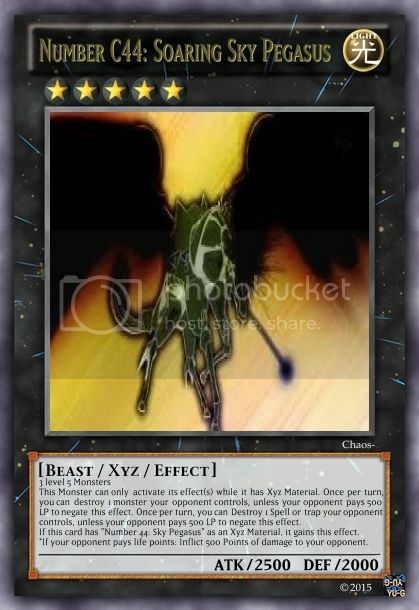 *Once per turn, you can detach 1 Xyz Material from this card; All Monsters (Including Xyz Monsters) on the field becomes level 4. This Monster can only activate its effect(s) while it has Xyz Material. Once per turn, you can destroy 1 monster your opponent controls, unless your opponent pays 500 LP to negate this effect. Once per turn, you can Destroy 1 Spell or trap your opponent controls, unless your opponent pays 500 LP to negate this effect. 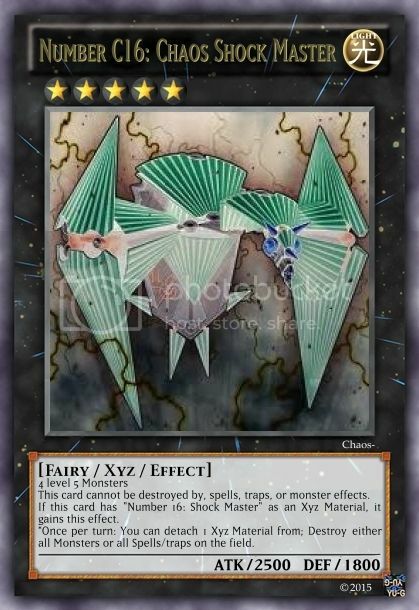 If this card has "Number 44: Sky Pegasus" as an Xyz Material, it gains this effect. *If your opponent pays life points: Inflict 500 Points of damage to your opponent. This card cannot be targeted by cards or effects. This card cannot attack, or be targeted for attacks(but it does not stop your opponent from attacking directly. )Once per turn, you can Special Summon 1 Dragon-type Monster from your hand. 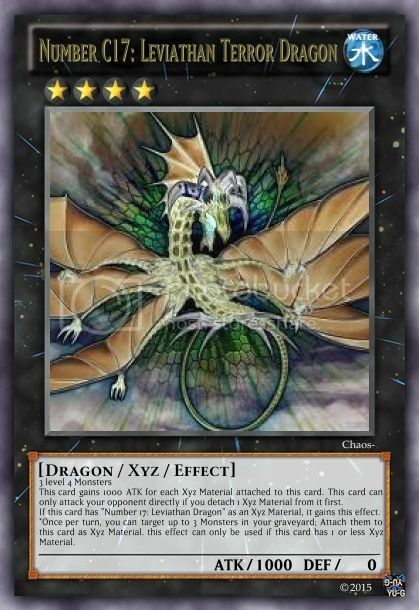 During your Standby Phase, If this card has no Xyz Material: Destroy this card and all Dragon-type Monsters your opponent controls. If this card is in your graveyard: all Dragon-type Monsters you control cannot be destroyed by card effects. If this card has "Number 46: Dragluon" as an Xyz Material, it gains this effect. 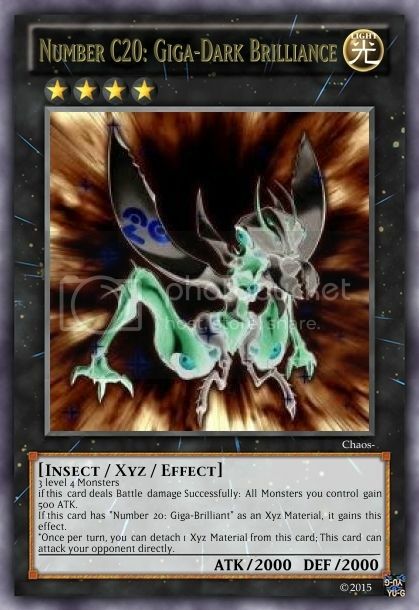 *Once per turn, you can target 1 Dragon-type Monster your opponent controls; Detach 1 Xyz Material from this card; Take control of that target. When this card is Special Summoned by the effect of a "Rank-up Magic" Spell card; Special Summon 1 "Number C92: Heart-EartH Chaos Dragon" from your Extra deck(This Special Summon is considered an Xyz Summon) When you do: Attach this card to that Monster as Xyz Material. 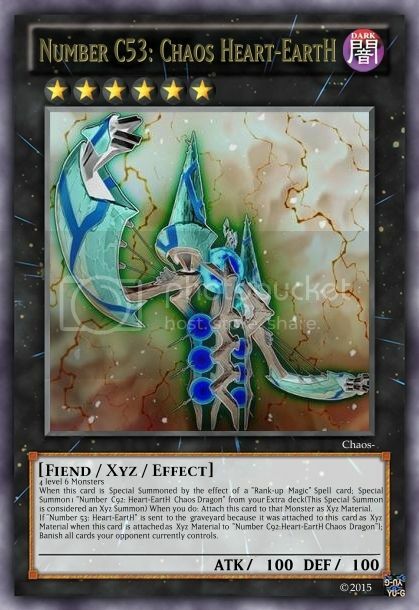 If "Number 53: Heart-EartH" is sent to the graveyard because it was attached to this card as Xyz Material when this card is attached as Xyz Material to "Number C92:Heart-EartH Chaos Dragon"; Banish all cards your opponent currently controls. This card cannot be destroyed in battle. 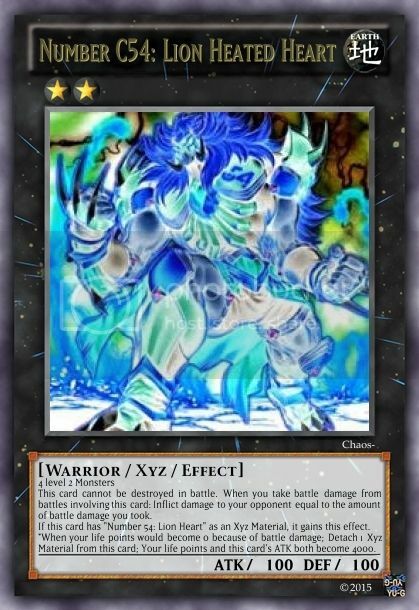 When you take battle damage from battles involving this card: Inflict damage to your opponent equal to the amount of battle damage you took. 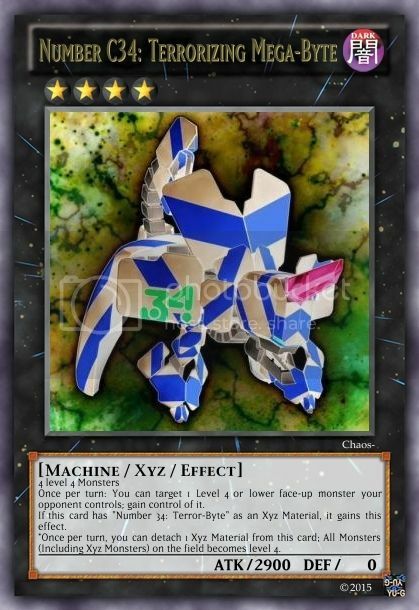 If this card has "Number 54: Lion Heart" as an Xyz Material, it gains this effect. *When your life points would become 0 because of battle damage; Detach 1 Xyz Material from this card; Your life points and this card's ATK both become 4000. "without darkness, there cannot be no light. you have seen the light of of my number. now let me show you the dark! Rank-up magic: Yin-yang!,come forth, Chaos Number 4:Shining Negate Knight!" I only skimmed most of it, but I will say, this is good. Except the fact that Acid Golem is way way way way too good. It can negate its own effect, making it a solid 4000 ATK monster in the right circumstance, and also, it's only 3 level 4's. Nevermind Ranking that up. I'll shove that into my Tellarknights or Raidraptors or Constellars or Bujins or Heroic Champion or Star Seraphs or even Non-archetypal Rank 4 Spam deck. The cost is not painful enough. You see what I'm getting at here?